Martin Luther … what was his influence on the Anglican Reformation in England? The year 2017 sees the fifth centenary of the Lutheran Reformation and the five-hundredth anniversary of Martin Luther (1483-1546) setting in process the Reformation when he nailed his 95 theses to the door of the church of Wittenberg on 31 October 1517. But for Anglicans, what is the legacy of Martin Luther, and what are his lasting influences on Anglicanism? How Lutheran was the Anglican Reformation, what were the Lutheran influences on the Reformation in the Church of England Lutheran, and how did Cambridge become known as ‘Little Germany’ and the ‘Birthplace of the English Reformation’? In 1520, Luther wrote The Babylonian Captivity of the Church, challenging the traditional sacramental system. Incensed by Luther’s attack, King Henry VIII of England published his reply, An Assertion of the Seven Sacramentsm in 1521. Henry VIII earned Papal approval for his refutation and was honoured as ‘Defender of the Faith. The exchange between the English monarch and the former monk was an important factor in the history of the English Church and Luther’s uncharitable and injudicious invective closed the door to Henry’s later acceptance of the Augsburg Confession. Although books were burned in Cambridge in 1520 and 1521 in efforts to supress sympathies for Wycliffe and the Lollards and for Luther, English merchants trading between London and Antwerp became a source for Luther’s writings, which were soon read widely in the universities in Cambridge and Oxford. The Cambridge scholars who met at the White House from 1521 came to include Thomas Cranmer, future Archbishop of Canterbury, Robert Barnes, Prior of the Austin Friars in Cambridge and future martyr, Thomas Bilney, who would change Latimer’s views about the Reformation, Stephen Gardiner, later Bishop of Winchester, Miles Coverdale, translator of the Bible into English and future Bishop of Exeter, Matthew Parker, later Archbishop of Canterbury, William Tyndale, Bible translator, Nicholas Shaxton, later Bishop of Salisbury, John Bale, later Bishop of Ossory, and the martyr Hugh Latimer. Many of this group were influenced both by the new edition of the New Testament produced by Erasmus and by the ideas of Luther. Many in this group also preached at the Church of Saint Edward King and Martyr, close to King’s College. This Cambridge church played a unique role in the early days of the English Reformation, and was closely associated with the Austin Friars, whose priory stood on the site of Corpus Christ College. The North Chapel of the church had been built for the use of Trinity Hall and the South Chapel for the use of Clare Hall (now Clare College). In 1522, Hugh Latimer of Clare College was nominated as university preacher and university chaplain. When he received the degree Bachelor of Divinity (BD) in 1524, Latimer publicly defence of the Pope’s authority and refuted the new Reformation ideas on the Continent, in particular the opinions of Philip Melanchthon, who would become the leading Reformer in Germany after Luther’s death in 1546. However, Thomas Bilney, one of the White Horse group, came privately to Latimer in his study. Latimer was convinced by Bilney’s arguments and soon became one of the leading advocates of the Reformation. He began to preach publicly on the need for a translation of the Bible into English. At the Midnight Mass in Saint Edward’s in Christmas 1525, Robert Barnes preached what was probably the first openly evangelical sermon in a church in England, proclaiming the Gospel and accusing the Church of many heresies. And so Saint Edward’s became ‘the cradle of the Reformation’ in England, and the pulpit from which Latimer preached is still in use. Barnes was forced to make a recantation, Bilney was forced to make humiliating penance for his offences, and Latimer was prohibited from preaching in the university or in the Diocese of Ely. However, the pulpit of the Augustinian Friars in Cambridge – now part of the site of Corpus Christ College – was outside episcopal control. There Robert Barnes was the prior, Myles Coverdale, translator of the Bible, had joined the community in 1523, and Erasmus was close to the community while he was at Cambridge in 1511-1514. In 1528, Cardinal Wolsey admonished Latimer, but then gave him a special licence to preach throughout England. In December 1529, Latimer preached two sermons that caused a turbulent controversy in the university. But it was reported to King Henry VIII that Latimer favoured the king’s demand divorce, and he was invited to preach before Henry VIII in Lent 1530. 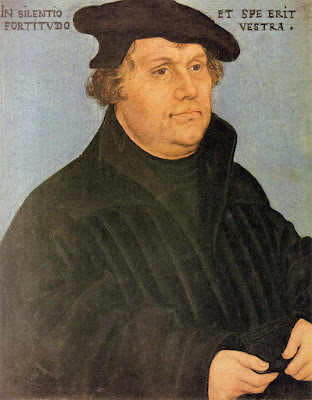 Prompted by Christian II, the exiled king of Denmark, Luther sent a letter of apology to the king in September 1525. But a royal letter of ridicule and rebuke followed 10 months later. By 1527, however, Henry’s views were changing. He wanted a male heir and also wanted to marry Anne Boleyn in the hope that she would become the mother of a male heir. Luther concluded that the king was bound under pain of eternal damnation to retain the wife he had married. But the divorce issue was settled for Henry in 1533 when Thomas Cranmer, Archbishop of Canterbury, dissolved the marriage to Catherine of Aragon and declared the king lawfully married to Anne Boleyn. Meanwhile, another member of the White Horse group was finding favour with the king too. Thomas Cranmer (1489-1556) was six years Luther’s junior, and was martyred 10 years after Luther’s death. As a student in Cambridge, Erasmus was one of his favourite authors, but it was Luther who drew his attention to the Scriptures. He found favour with the king in 1529, when he suggested that the king’s divorce was a problem to be settled by theologians and not by canon lawyers. The king sent Cranmer as his representative to the Italian universities and to the Emperor. In Germany, he made his Lutheran connections, and married a niece of Andreas Osiander of Nuernberg. In 1534, Henry VIII formally repudiated the authority of the Pope. Latimer began to advise Cranmer and Cromwell on legislative measures, and became the royal chaplain to Henry VIII and Anne Boleyn. That year, Convocation called for a translation of the Bible into English, and the Ten Articles in 1536 mark the beginning of doctrinal reform. Since Tyndale was considered a heretic, Myles Coverdale was enlisted as the translator of the Bible. His translation, edited by John Rogers, was printed in Antwerp under the pseudonym of Thomas Matthew, and a new edition was published in 1540, with a preface by Cranmer. Meanwhile, Latimer was forced to resign as Bishop of Worcester when he opposed Henry VIII’s Act of the Six Articles in 1539, and was imprisoned. Cranmer, however, continued to enjoy Henry’s favour until the king’s death in 1547. Henry VIII died before Latimer’s final trial could take place, but Latimer declined to return to Worcester. Instead, he became a court preacher in the court of Edward VI. The Lutheran influence that was dominant in the early Reformation in England diminished during the reign of Edward VI, when England became a haven for religious refugees, including Martin Bucer from Strasburg, who had once tried to bring Luther and Zwingli together and who influenced Calvin’s doctrine of the Lord’s Supper. Cranmer invited Melanchthon and Calvin to England for a conference to discuss a united confession but that conference never took place. The Lutherans were unfriendly to these exiles because of their denial of the real presence, and the heirs of exiles were among the later Puritans rather than among the Anglicans. Cranmer drew on Lutheran catechisms, litanies, and liturgies as he compiled the Book of Common Prayer, Tyndale gave England its Bible, and Barnes gave it a Lutheran theology. No English denomination ever emerged that could call itself the Lutheran Church. But the 39 Articles were strongly influenced by phrases and sentences in the Augsburg Confession, and the Lutheran imprint is impressed on The Book of Common Prayer and the Anglican form of worship. Like the Lutheran Reformers, Cranmer and his heirs combined music and a polished vernacular prose style to achieve new heights of grandeur in the service of God in worship. (Revd Canon Professor) Patrick Comerford lectures in the Church of Ireland Theological Institute, Dublin. 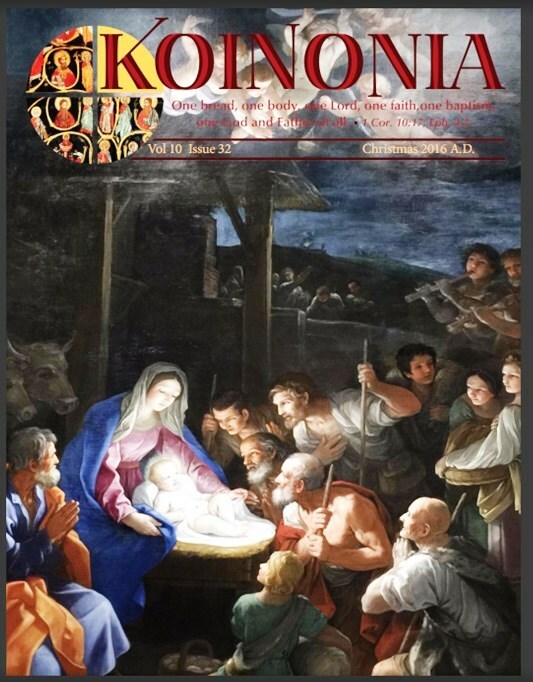 This feature was published in the Christmas 2016 edition of ‘Koinonia’ (Kansas MO), Vol 10, No 32, pp 12-16. During this week, I am visiting some of my favourite buildings in Dublin designed by the architect Sir Thomas Newenham Deane (1828-1899), who worked in a Dublin-based partnership with Benjamin Woodward (1816-1861). In October 1853, Woodward and Deane set up an office at No 3 Upper Merrion Street, Dublin. They developed a Gothic style based on the naturalistic principles laid down by John Ruskin, and their practice also played an important role in the Gothic revival in England. Their two most important buildings are the Museum in Trinity College Dublin (1854-1857) and the Oxford Museum (1854-1860). When Deane died in 1899, his practice was continued by his son, Thomas Manly Deane. On the corner of Fownes Street and Dame Street, No 46-47 Dame Street was built in 1869-1871 for the Crown Life Assurance Co. The building was designed by Sir Thomas Newenham Deane in 1868 and was modelled on the London head office of Crown Life, which was designed in 1858 by his former partner, Benjamin Woodward. This part of Dame Street is along a busy traffic route and on the edges of the Temple Bar area. For tourists it is a pedestrian thoroughfare, linking Christ Church Cathedral with the Bank of Ireland Trinity College Dublin or leading into the Temple Bar area. These factors mean it is generally difficult to catch a view that offers opportunities to appreciate the Dame Street façade of this building. It is often easier to appreciate the building around the corner, beside the ‘Foggy Dew’ pub, where the Fownes Street façade faces the Central Bank Plaza. Like the Museum Building in Trinity College Dublin, Deane designed this building was built in Portland stone in the style of a Lombardo-Romanesque palazzo, drawing on the principals set out a decade earlier by John Ruskin in The Stones of Venice. The builder was Gilbert Cockburn was the builder, who also built the Museum Building in TCD, and the total cost was £4,000. On the Dame Street façade, there are Venetian-style arched windows and balconies. On the ground floor, we can see stilted segment-headed openings to the former public offices on the ground floor. The main entrance originally stood at the east end of this façade, on the viewer’s right. The romantic features on pretty side elevation on the east or Fownes Street façade include five Ruskin-influenced stepped, round-headed windows, three grouped together in an ascending arcade, on the staircase. Slender colonnettes frame the angle of the building, and deep bracketed cornices create strong horizontals at the piano nobile and eaves levels. The Portland stone used by Deane is offset by a granite plinth, a frieze, still and impost courses of red sandstone, polished pink granite colonnettes to the windows, and capitals of grey and white limestone. This building was rebuilt by James Franklin Fuller in 1917, and the builders for this renovation were Farmer Brothers of Nottingham Street, Dublin. I first got to appreciate the exterior of this building and to know the interior when I was training as a Chartered Surveyor, because at the time the building housed the Dublin Corporation Planning Office. This was an ironic use of the building in the late 1960s and early 1970s, for the planners almost allowed it to be lost to Dublin. It was saved from demolition because Skidmore Owings Merrill, in the masterplan for the area they submitted to CIE in the 1970s, identified it as one of two buildings worth saving in the Temple Bar area. Since then, this building has been renovated, the interior has been greatly remodelled, and this is now part of a larger hotel. Tomorrow: The Allied Irish Bank, 7-10 Dame Street Dublin. In recent weeks, in my architectural postings, I have written about a number of works in Dublin by the architect James Franklin Fuller (1835-1924), including the Superintendent’s Gate Lodge in Saint Stephen’s Green, Dublin, Saint Mary’s Church, Julianstown, Co Meath, and D’Olier Chambers or the Gallaher Building, a landmark building on the corner of D’Olier Street and Hawkins Street, Dublin. I spent some of Wednesday afternoon [28 December 2016] in the Phoenix Park, Dublin, at another Fuller building, Farmleigh House. This was originally a two-storey Georgian house, belonging first to the Coote family, and then passed to the Trench family. It was bought by Edward Cecil Guinness (1847-1927),1st Earl of Iveagh, on his marriage to his cousin, Adelaide Guinness. Lord Iveagh was a great-grandson of Arthur Guinness, founder of the brewery, and in 1919 he became Baron Iveagh in 1891 and the 1st Earl of Iveagh in 1919. He extended Farmeligh Hpuse twice, first in the 1870s to designs by Fuller, and later by the Scottish architect William Young (1843-1900). Fuller extended the house to the west, refurbished the existing house, and added a third storey. Fuller also designed the under-gardener’s lodge, farm buildings, the conservatory, the Liffey Road lodge, the dairy, and other buildings on the Farmleigh estate. In 1896, the ballroom wing was added, designed by the Scottish architect William Young (1843-1900), who also worked on the Guinness family’s English country seat Elveden in Surrey. With the addition of a new conservatory adjoining the ballroom in 1901, and the increased planting of broadleaves and exotic plants in the gardens, Farmleigh had, by the early years of the 20th century, became synonymous with gracious Victorian and Edwardian living and entertainment. Set in rolling countryside, the exterior of Farmleigh is restrained, with a sumptuous interior. The most obvious elaborate feature of the exterior is the fine conservatory which adjoins the drawing room and ballroom. The interiors of the house are of two idioms. The older interiors are ‘a cheerful Baroque with much exposed honey-coloured panelling.’ The best of these is the library with its balcony level around the book shelves. At the top-lit stairwell, Fuller introduced natural light into the heart of the building. The immediate front hallway is also top-lit by roundels set in the ceiling of the hallway or porte cochere. Farmleigh and its 78-acre estate was bought from the Guinness family by the Irish Government in 1999 for €29.2 million. The Office of Public Works has refurbished the house as the accommodation for visiting heads of state and guests of the nation and for Government meetings, and for public enjoyment. Later, after coffee in the Boathouse Café, two of us went for a walk around the former boating lake created by the Guinness family, and later went for a walk along the banks of the Royal Canal at the Twelfth Lock, between Castleknock and Blanchardstown. The sun was setting and casting long shadows. It had been another crisp, bright winter’s day. The Christmas season continues, and today [29 December 2016] the Church of England recalls Thomas Becket, Archbishop of Canterbury, Martyr, who was martyred on this day in 1170, with a lesser festival in Common Worship. It is one of those important links between the Christmas message and the cost of discipleship. Each morning throughout the Twelve Days of Christmas I am using the prayer diary of the Anglican mission agency, USPG (United Society Partners in the Gospel), for my morning prayers and reflections. Pray for God’s care for the mothers of disabled children in Palestine, many of whom face discrimination in their communities. I John 2: 3-11; Psalm 96: 1-4; Luke 2: 22-35.